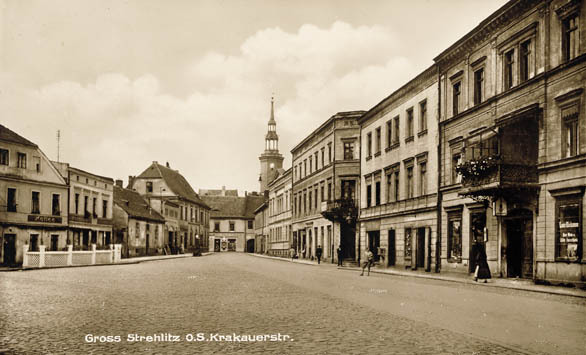 The town Strzelce Opolskie developed from the early market settlement which was mentioned in documents already in the 13th century. 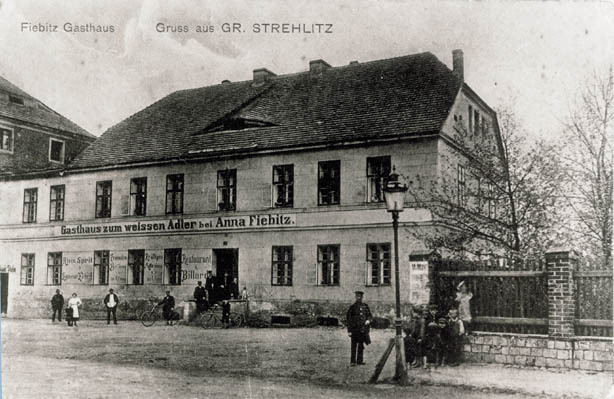 The name of the settlement and the later town originates from shooters - princes' hunters, organising hunting parties in the area. 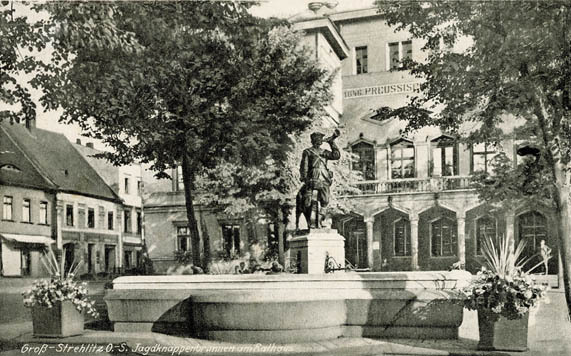 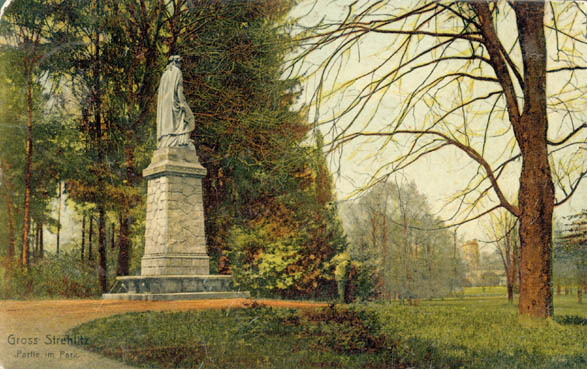 This is commemorated by a hunters statue which has been standing in front of the town hall since 1929. 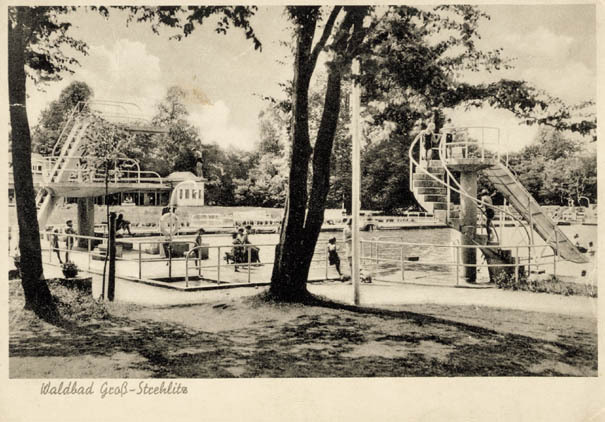 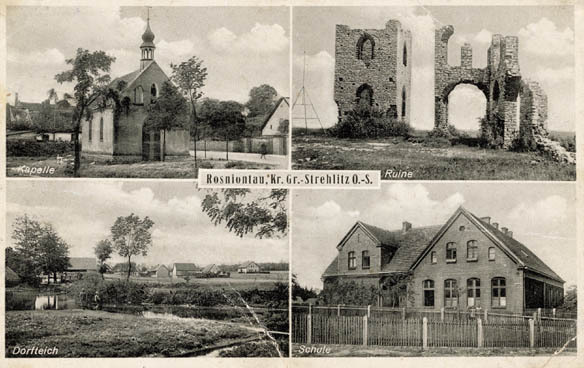 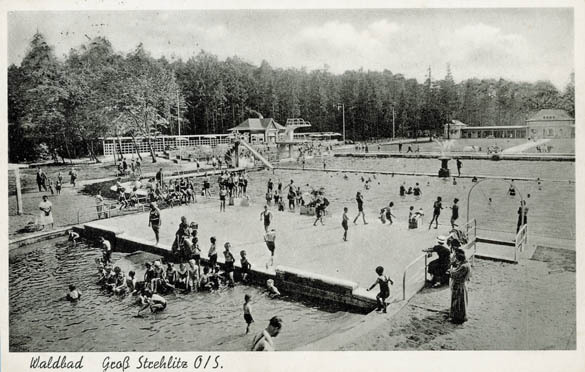 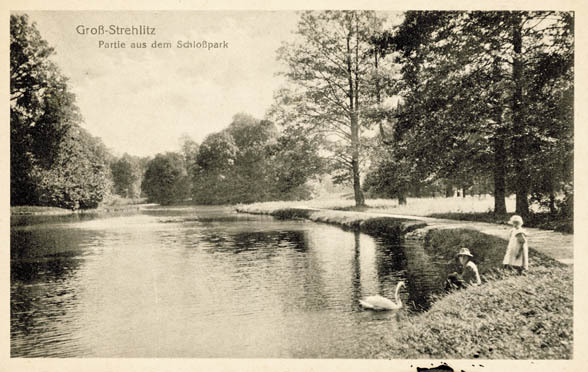 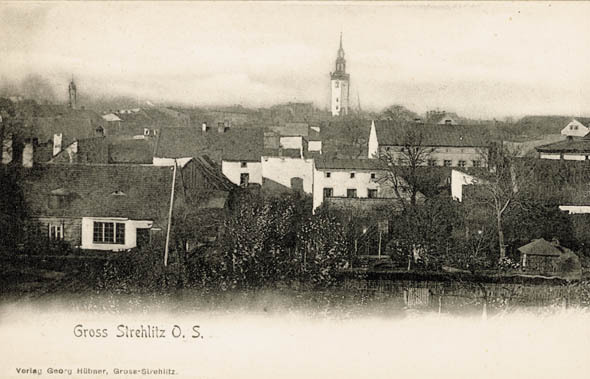 The town name had various forms: Strzelecz, Strzelicz, Strelicz. 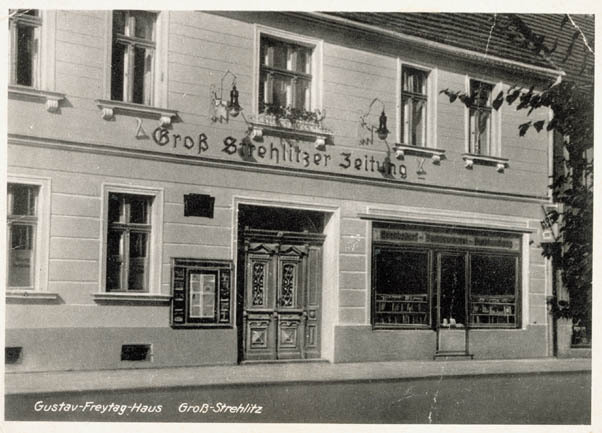 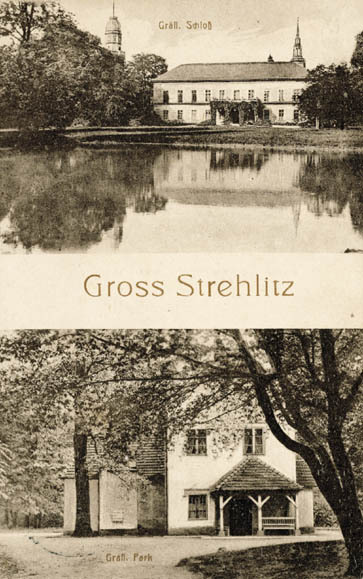 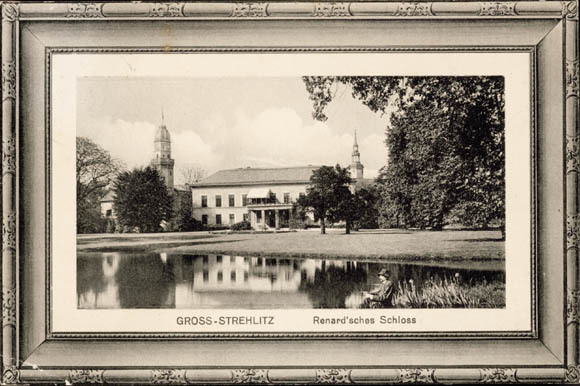 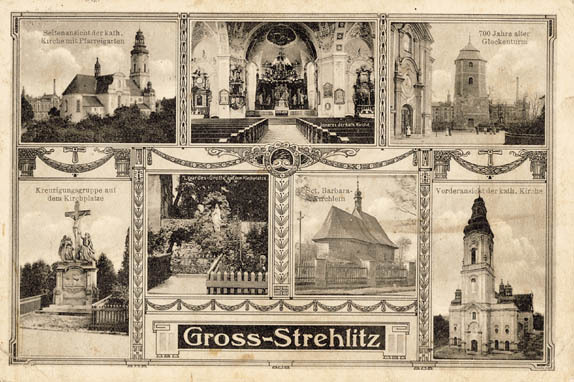 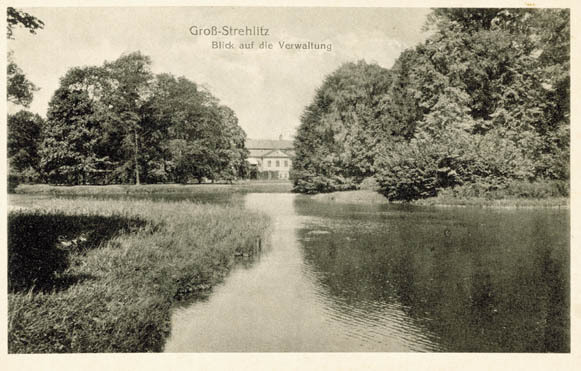 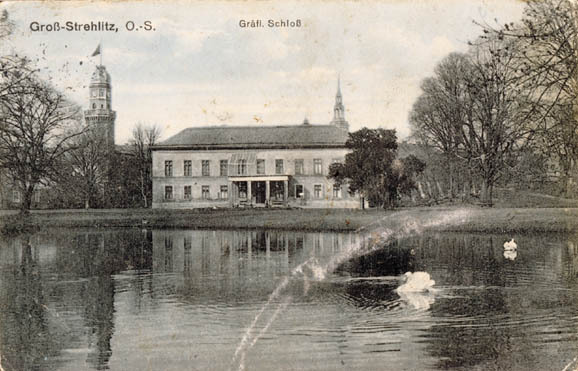 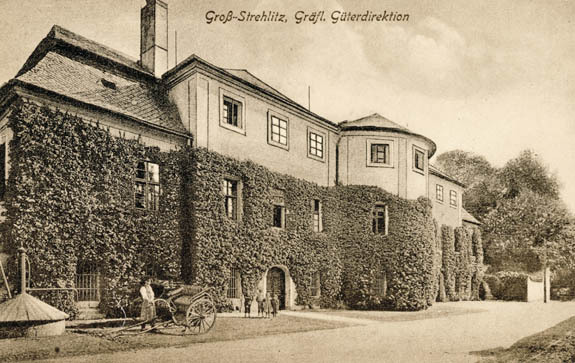 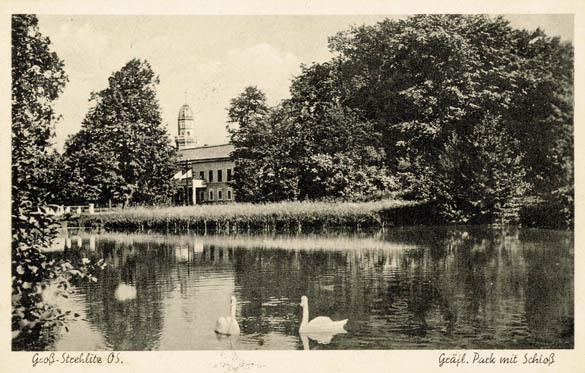 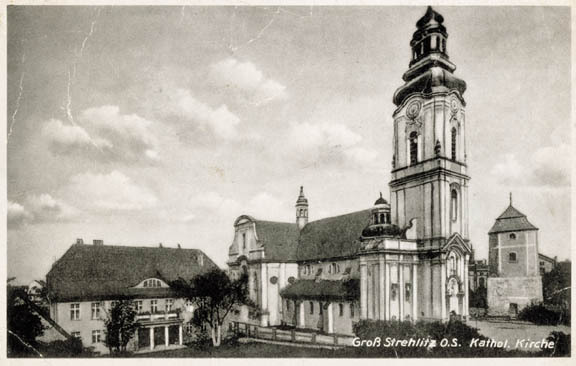 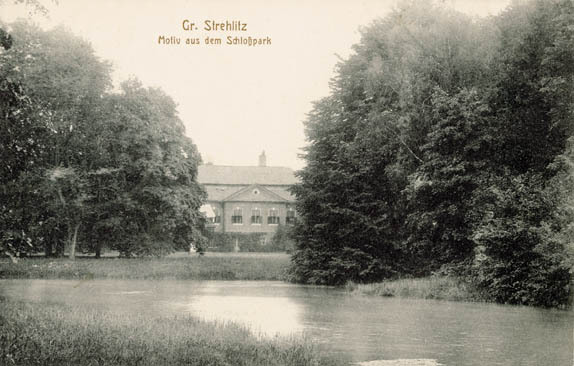 Since 1581 it was Groß Strehlitz (Strzelce Wielkie) and since 1945 - Strzelce Opolskie. 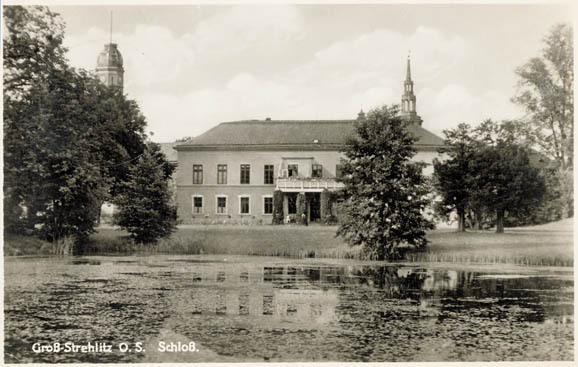 The life of St. Salomea by anonymous author, dated from 1271 includes a description of adventures of two monks travelling on St. Lawrence's day to Strzelce, in order to preach a sermon at a church-fair for village people. 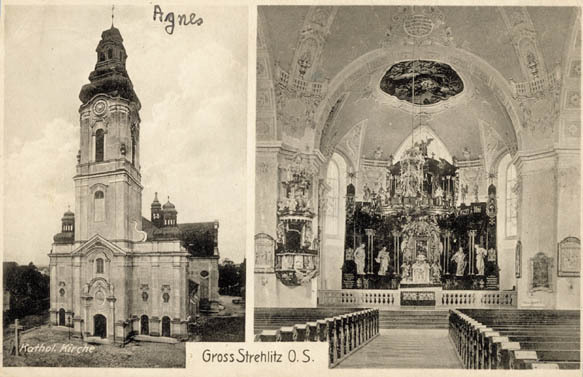 This is an important fact because the parish church in Strzelce used to be and still is the St. Lawrence church. 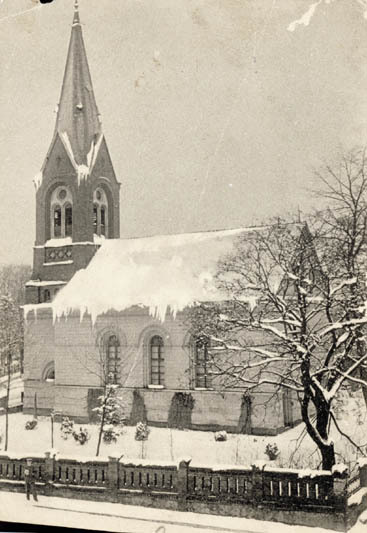 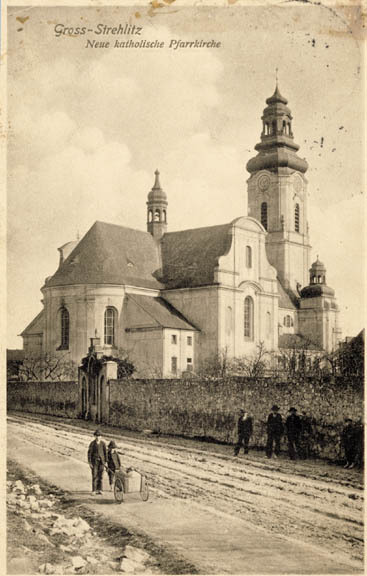 There was another church in town - the Holy Cross Church which was destroyed after the fire in 1874. 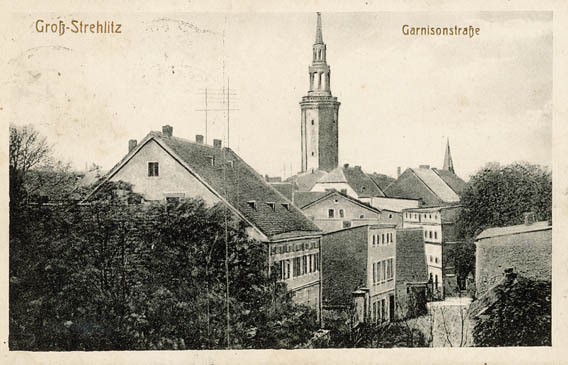 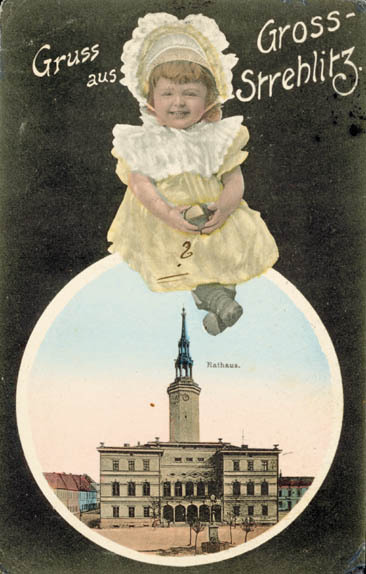 The date of establishing the town on the basis of German law is not certain. 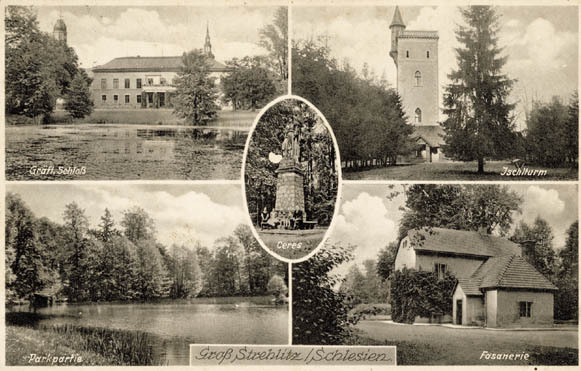 Sources suggest various dates: 1290, 1305, 1320, 1362. 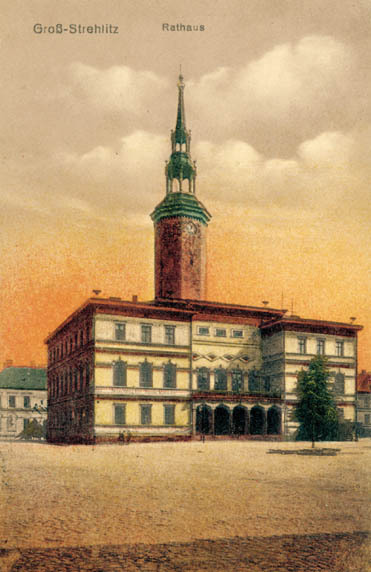 Most probably, the town was localised after 1273 in which year the Opole Principality was subject to the attack of Bolesław Wstydliwy. 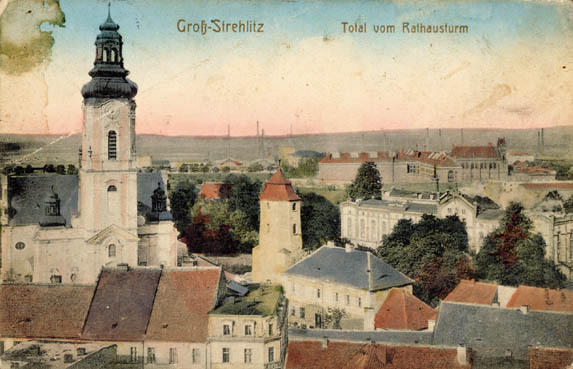 In 1281 the Opole Province was divided into four independent principalities (Opole, Koźle, Cieszyn, Racibórz) The border between the Opole and Koźle - Bytom principalities was towards the east of Strzelce and this explains the foundation of a separate castellany in the area. 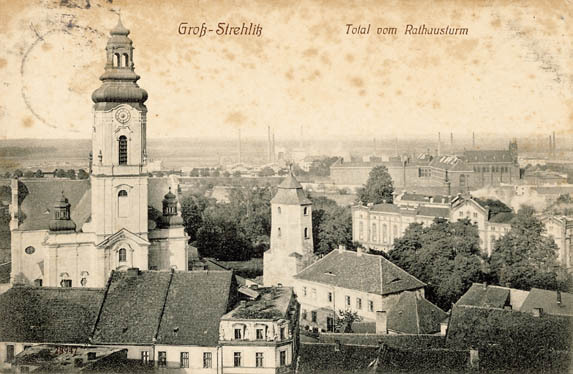 The Strzelce castellan's duties were, above all, collecting taxes for the prince and defending against attacks from the rulers of Koźle, Bytom and Toszek. 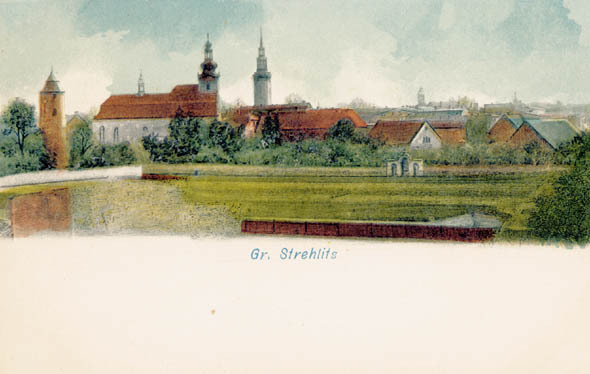 It is most probable that already at that time Strzelce was an urban centre. 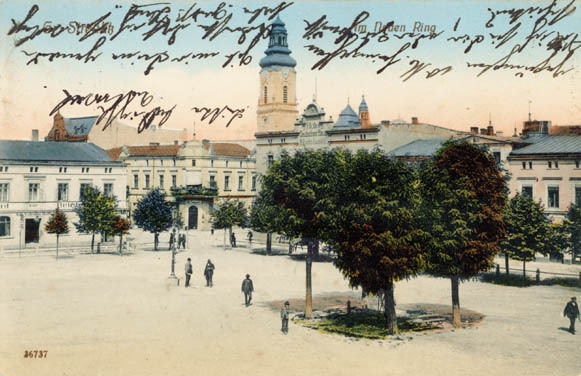 It was Władysław I of Opole who gave town charter to Strzelce, although the town itself developed during the reign of his son, Bolesław I of Opole. 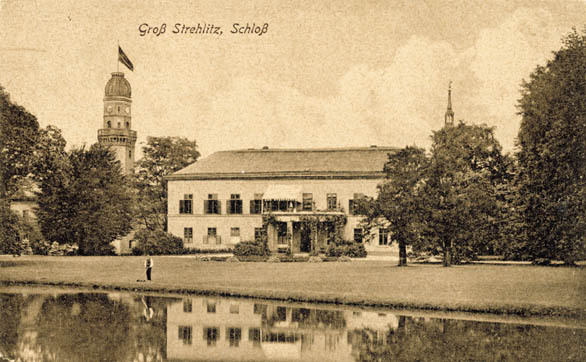 He also built the Strzelce castle which is mentioned for the first time in 1303. 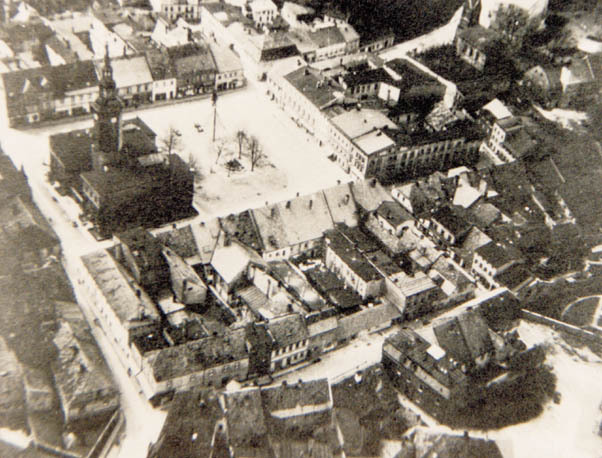 The town was surrounded by walls with two gates - Opole and Kraków in 1327. 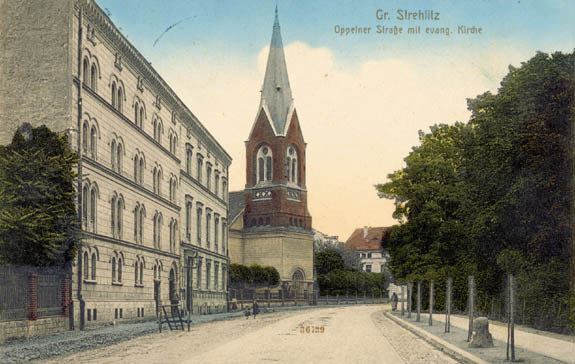 Strzelce was localised in 1362 for the second time, this time on the basis of Magdeburg law. 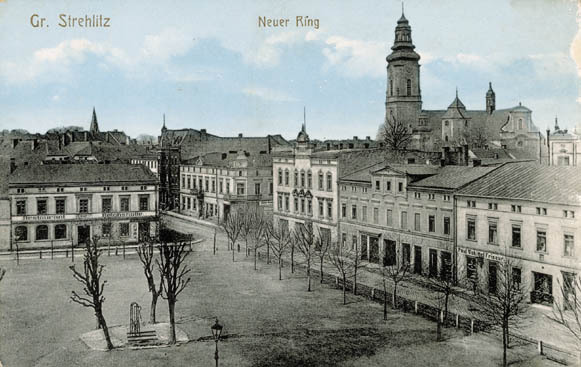 The Piast princes owned the town until 1532. 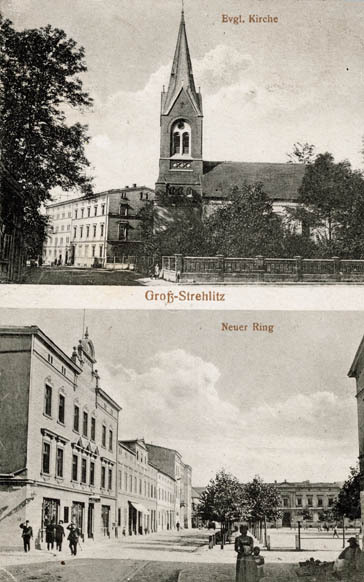 After the dynasty died out, it changed owners coming from Austrian, and from the 18th century to Prussian hands. 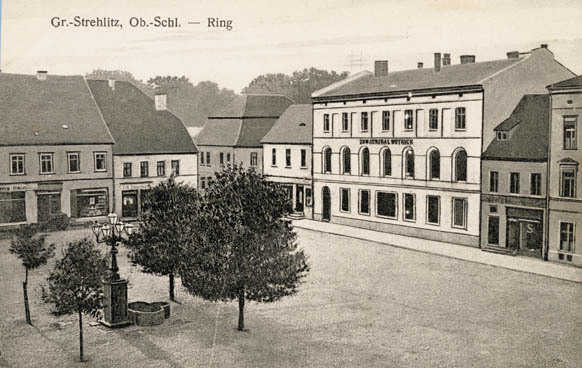 Until the 30 years War, the town developed quite well, especially in the 16th century although it was not particularly prosperous. 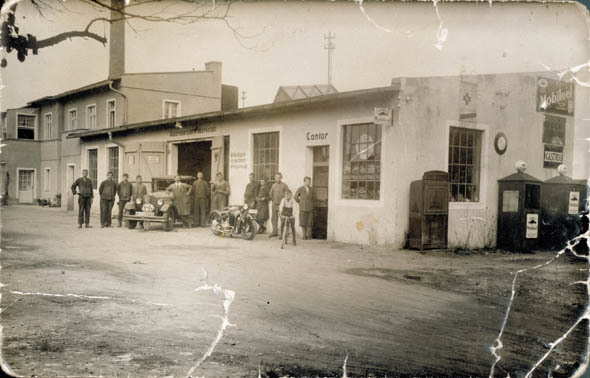 Inhabitants were mainly farmers, growing hop, grape-vine, craftsmen, merchants. 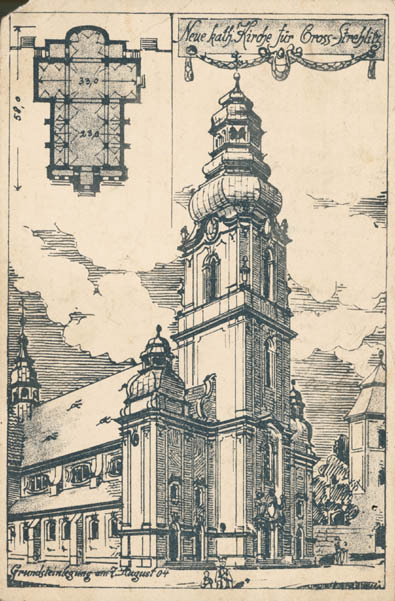 Cultivation of the above was reflected in the emblem of the town. 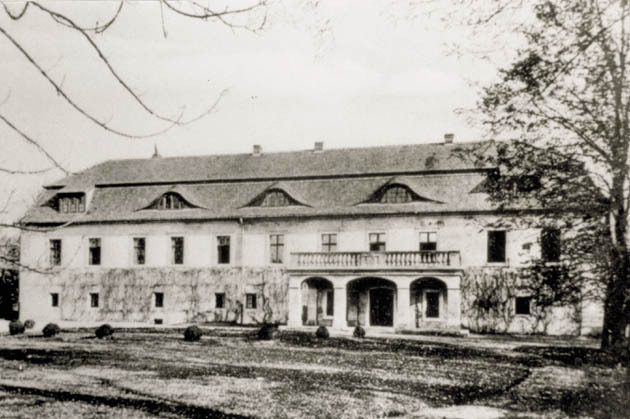 It consisted of half of an eagle and a hop branch in 1362. 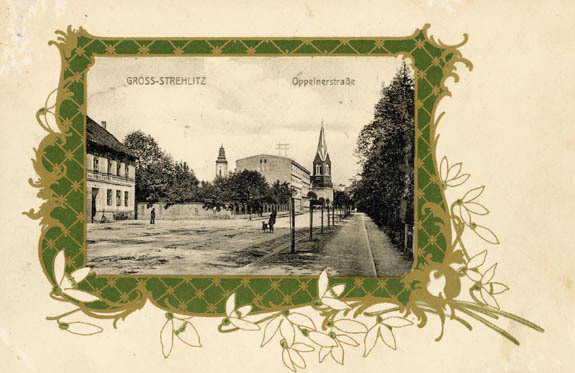 A hop branch was replaced by a bunch of grapes in 1600. 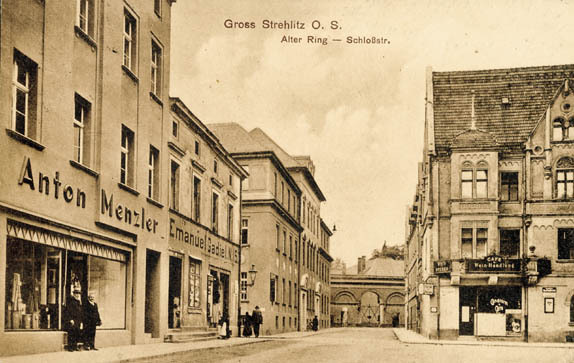 Strzelce was situated on an ancient amber and salt trading route. 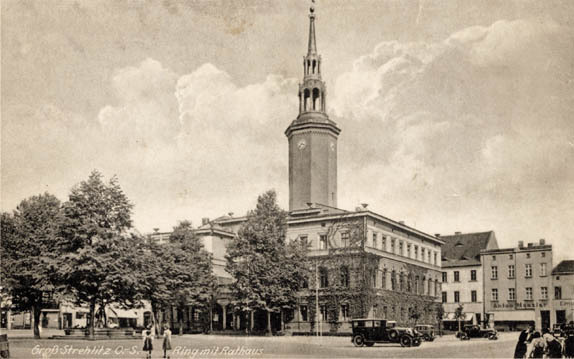 It is also on the so called Hanzeatic merchant route from Hamburg do Kiev. 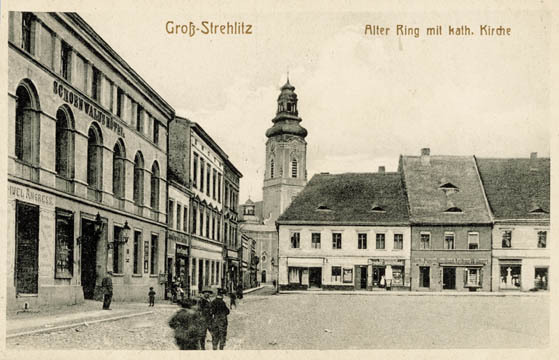 There were 90 buildings in the town in the 17th century, built mainly from wood and clay, covered with shingle roofs. 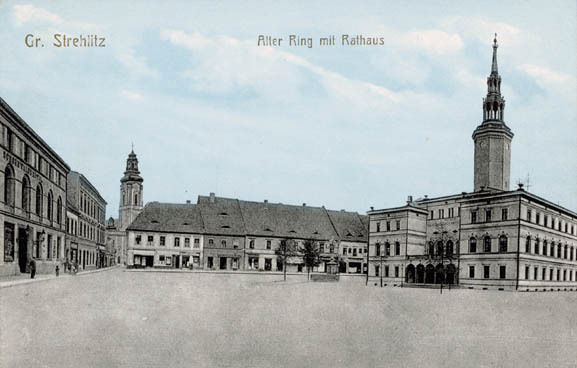 There was the town hall and dense housing area in the centre. 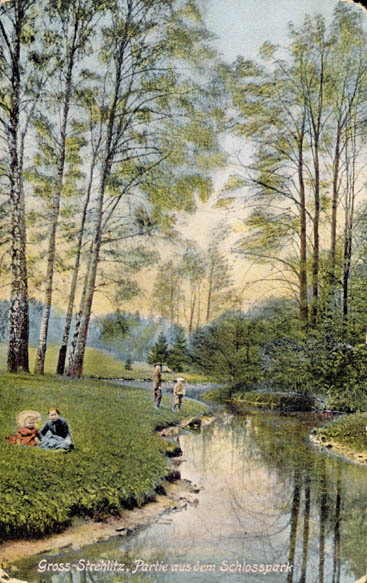 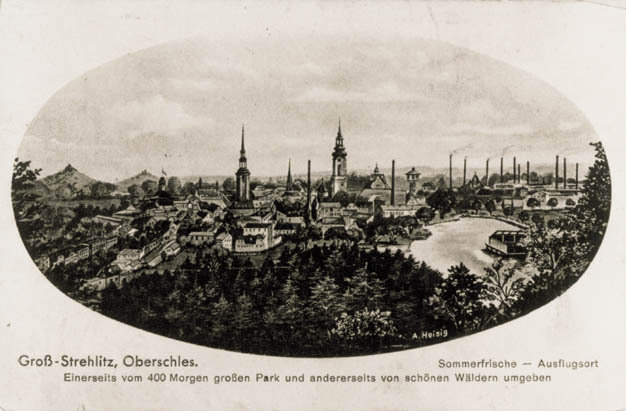 Outskirts of the city were developing in the direction of Opole, Lubliniec and Kraków. 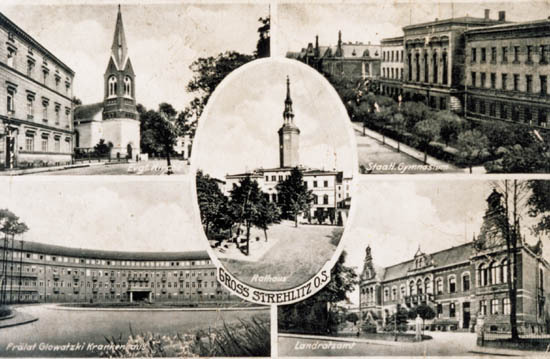 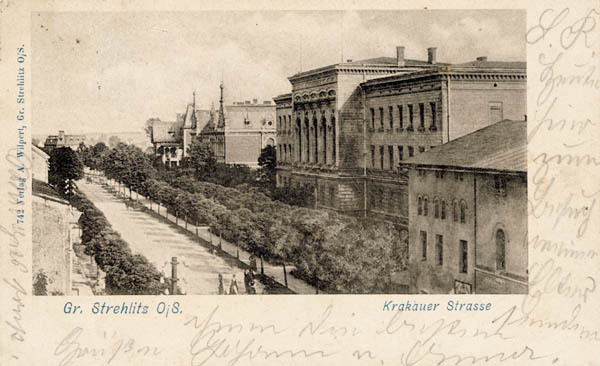 The town structure did not change much from the beginning to the years 1816-25 when town walls were opened due to development of Wrocław - Opole - Strzelce - Bytom road. 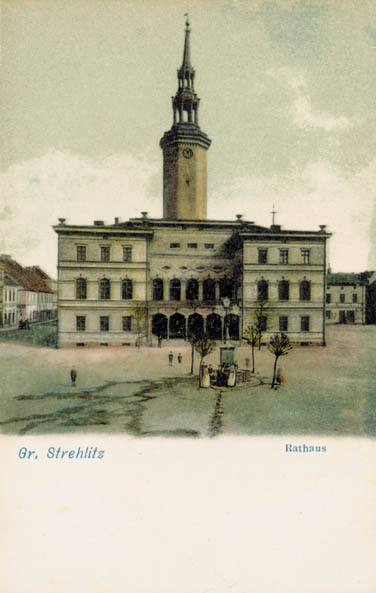 A fire broke out in July 1826, leaving about 100 families homeless and another one in June 1827 destroyed more houses and the town hall which was rebuilt in the years 1844-46. 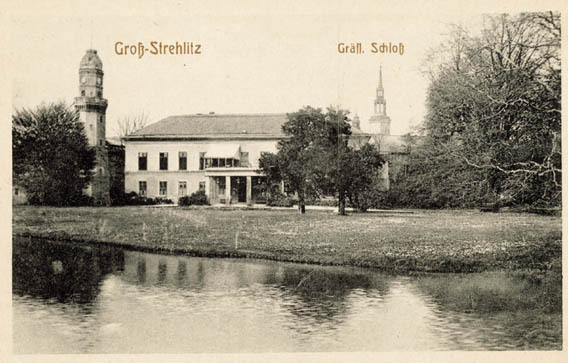 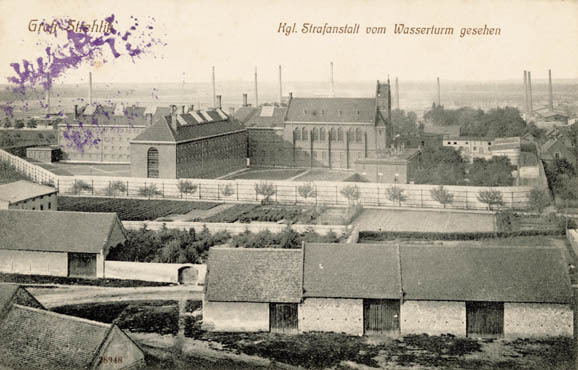 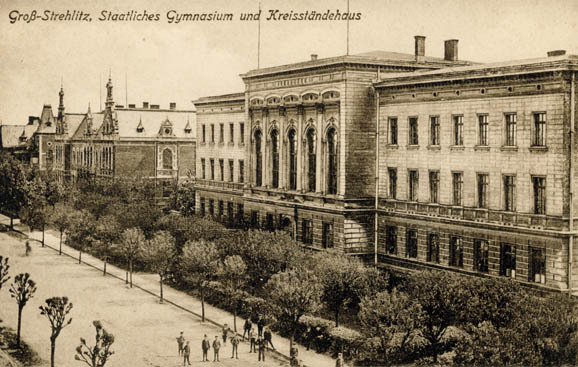 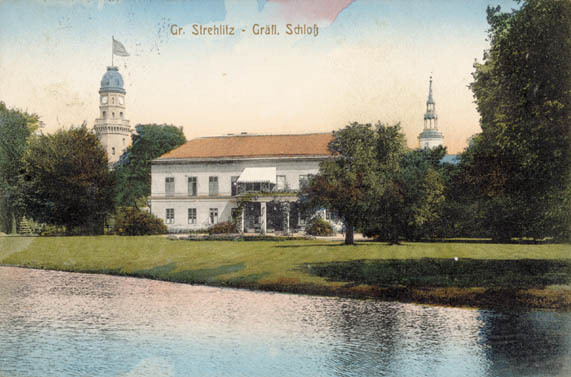 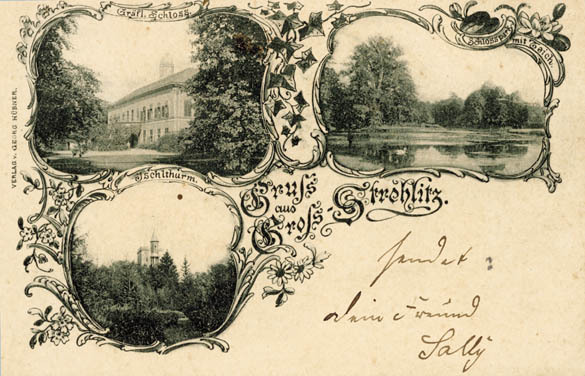 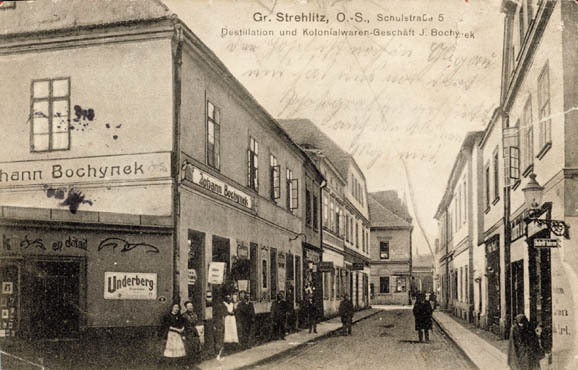 Strzelce became an important limestone and machine industry centre in the second half of the 19th century. 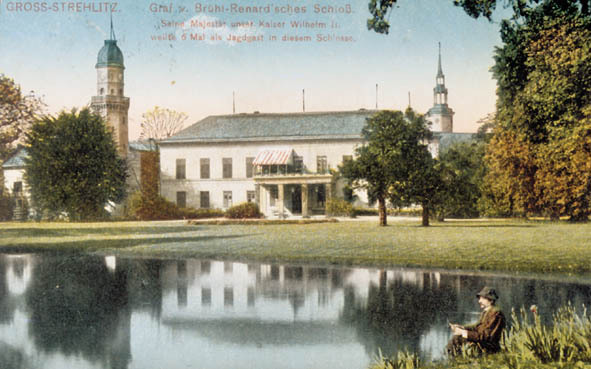 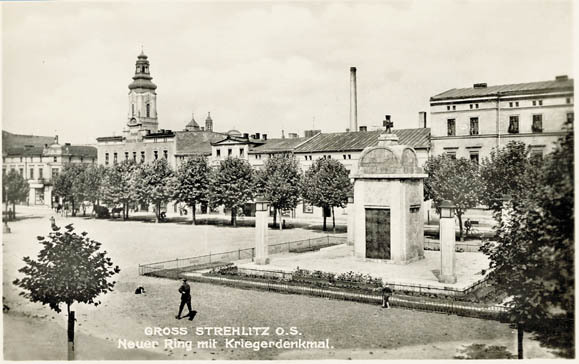 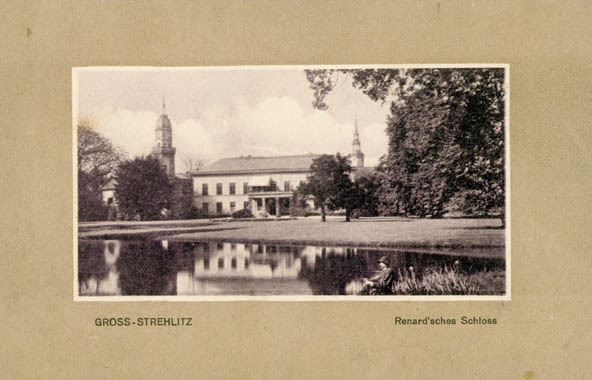 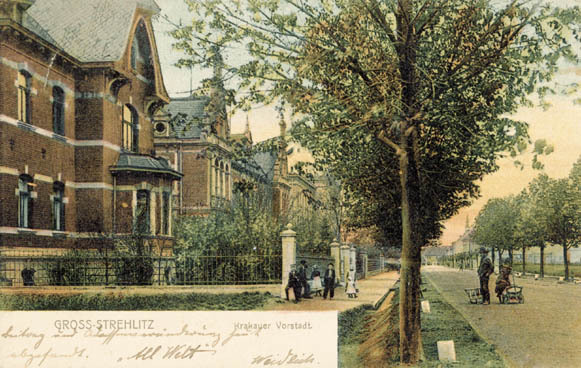 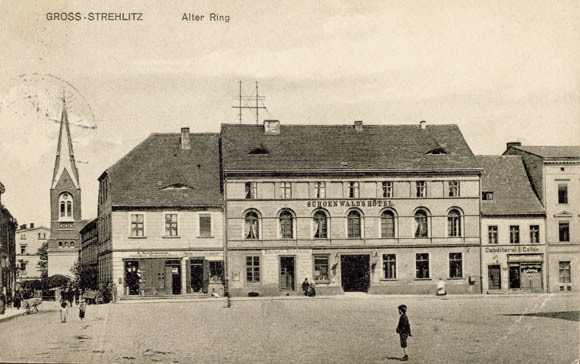 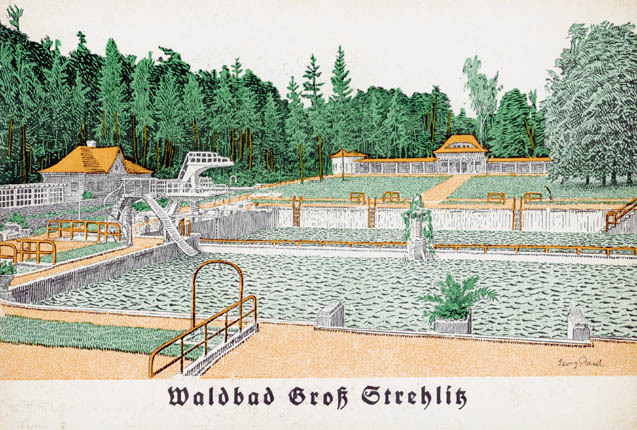 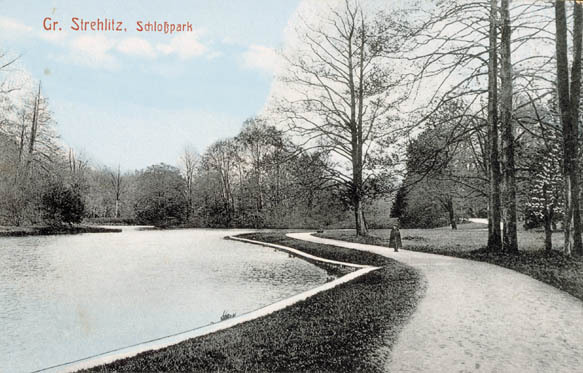 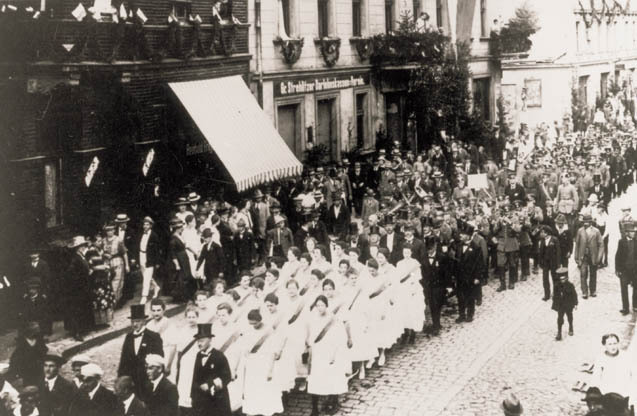 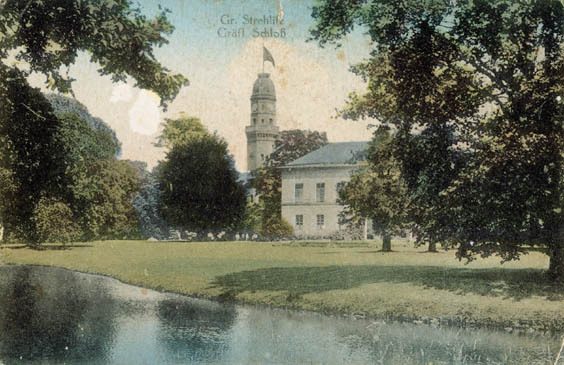 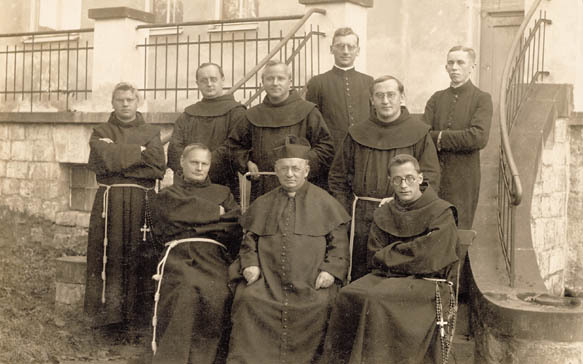 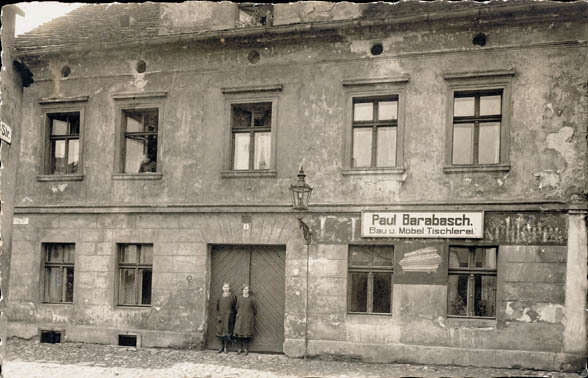 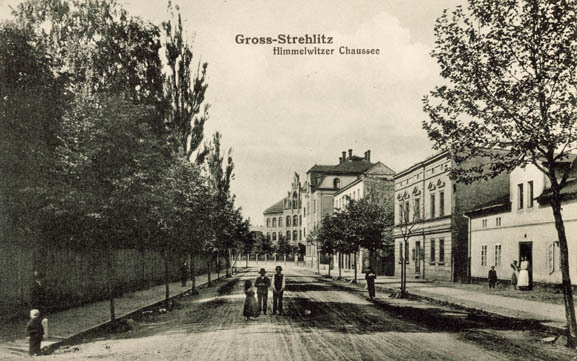 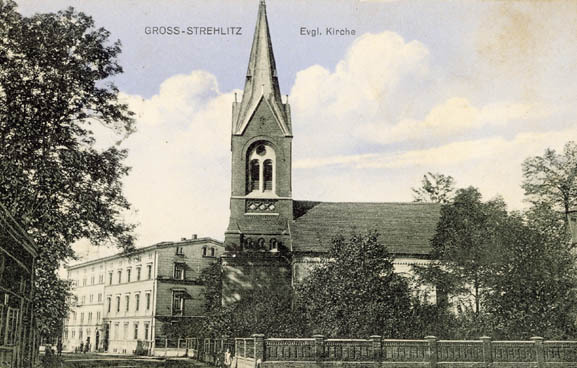 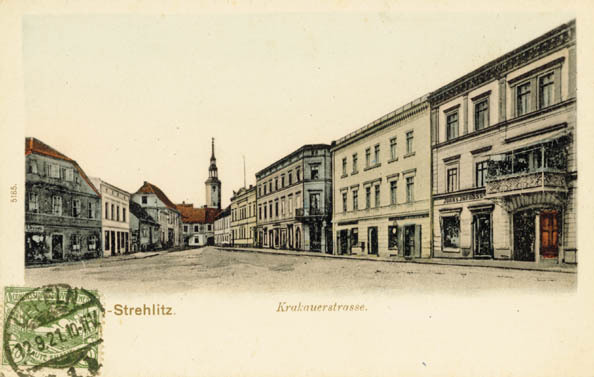 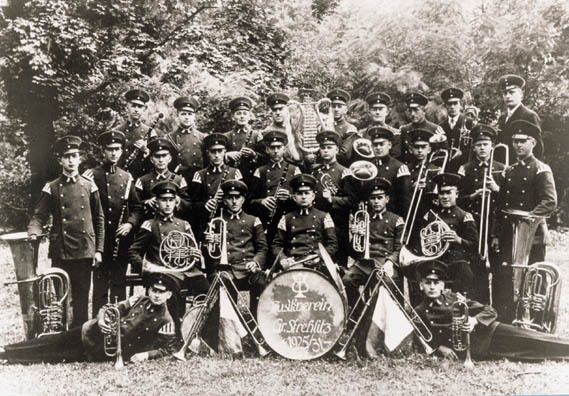 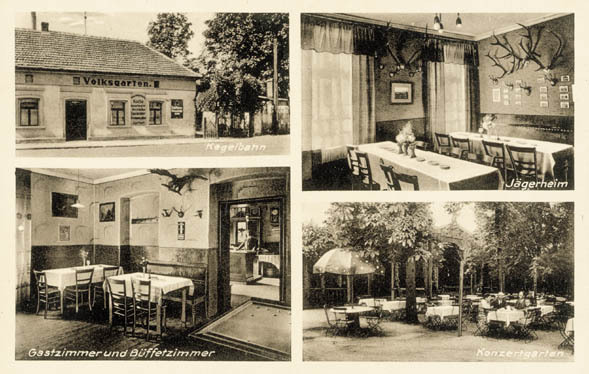 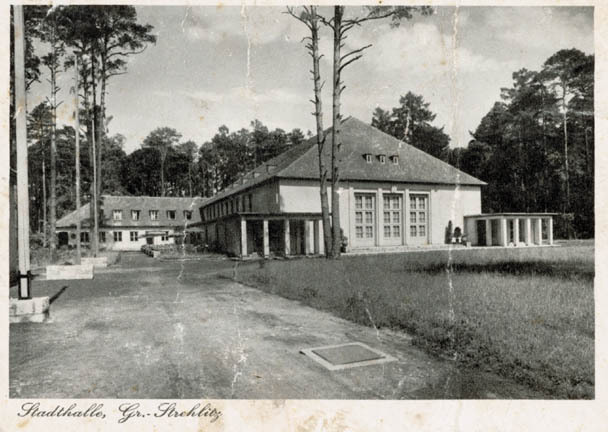 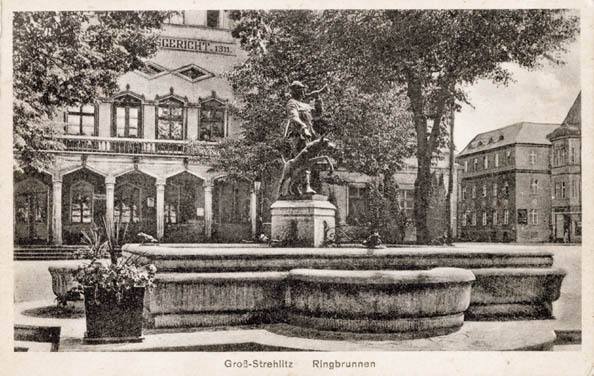 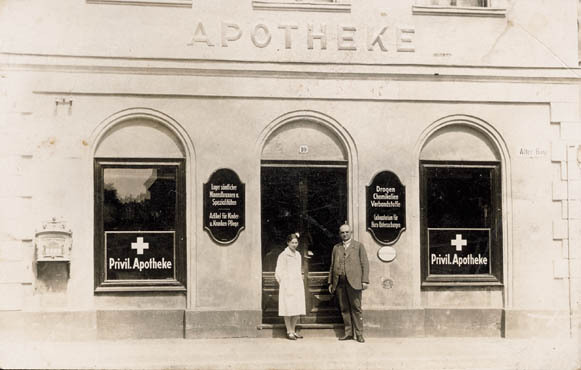 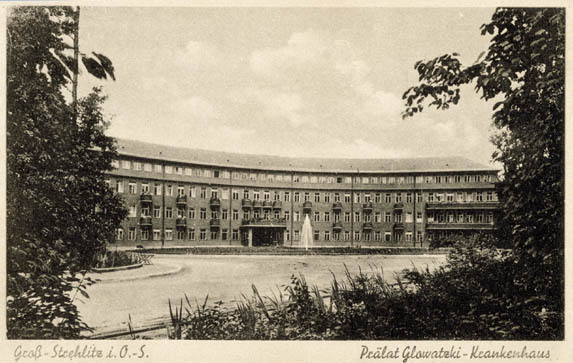 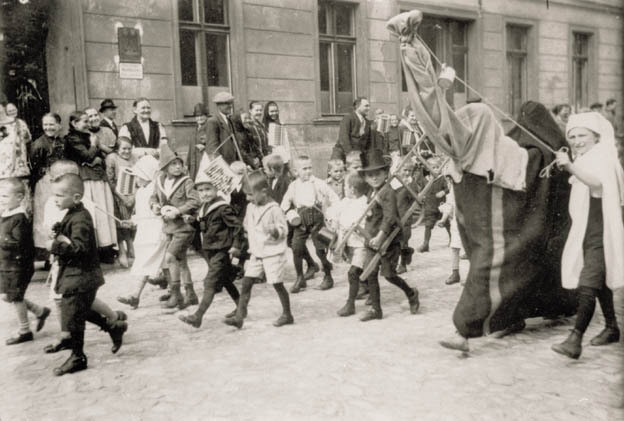 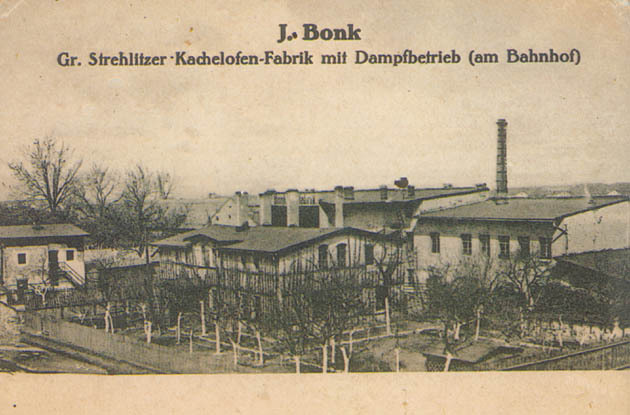 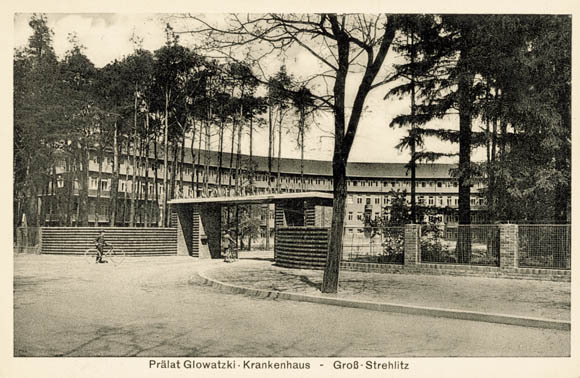 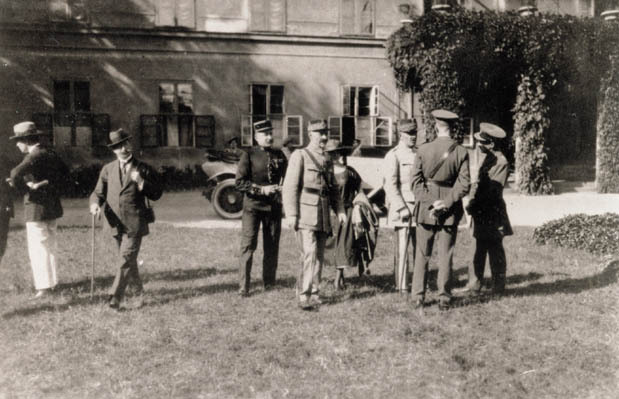 In the 1921, after the plebiscite and the third Silesian Uprising, the Ambassadors' Council in Paris consisting of the states which won the WW I, decided to incorporate the region of Strzelce to the German state (contrary to the plebiscite result in the region) The town was heavily destroyed during war operations in 1945. 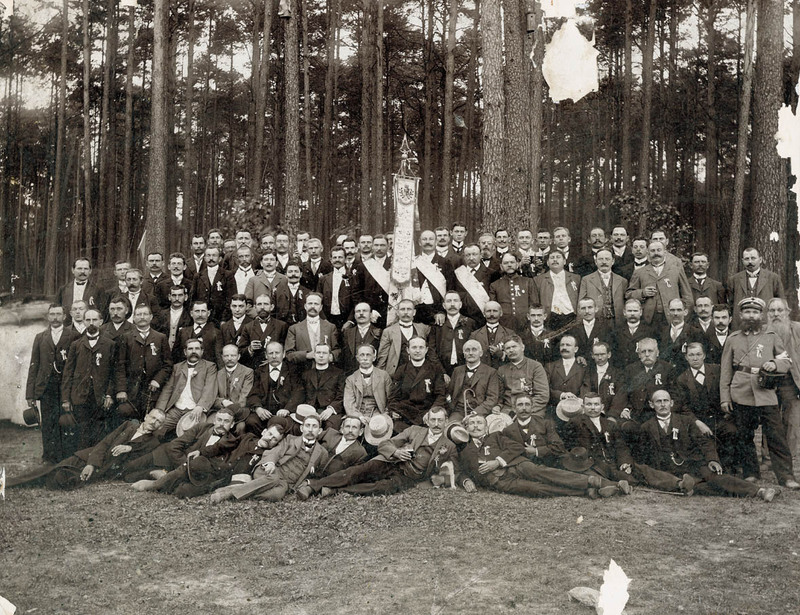 The end of war allowed for new organisation of life and economy.